Long a TV haven for beautifully produced drama -- frequently, but not universally, suitable for middle-schoolers and up -- PBS "Masterpiece" has more great literature and family drama in the pipeline. Just don't expect any of these to appear soon. Victor Hugo's classic novel has already been adapted into a hit musical, which also became a hit movie -- both of which maintained the Catholic core of the 1862 story, which culminates in the 1832 anti-monarchist June Rebellion in Paris (not the French Revolution, that was from 1789-1799). 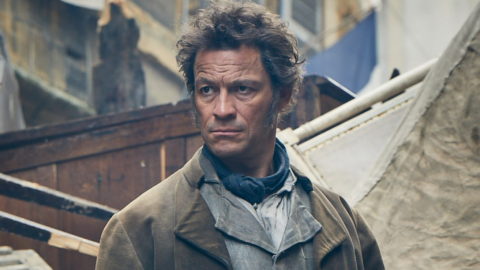 The six-part BBC/"Masterpiece" production stars Dominic West ("The Wire") as Jean Valjean, whose minor misdeed runs him afoul of the authorities -- especially the relentless policeman Javert (David Oyelowo). 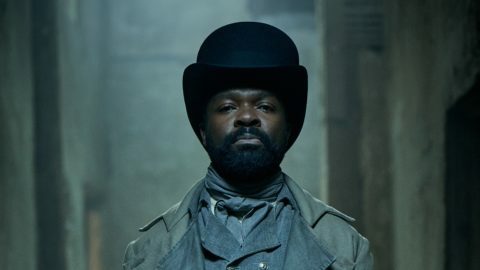 But the kindness of a bishop, which the desperate Valjean repays by stealing from him, sets Valjean on a winding path that ultimately leads to his transformation and redemption. 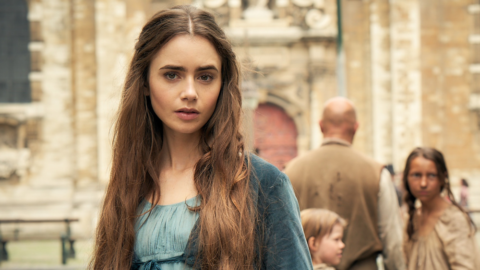 Also starring are Lily Collins as Fantine, whose child Valjean later adopts. The writer is Andrew Davies, who has adapted many classic novels for the screen, including the BBC's acclaimed 1995 version of Jane Austen's "Pride and Prejudice." The BBC has released some pictures. In order: Collins, West and Oyelowo. Andrew Davies is also adopting Jane Austen's "Sanditon," left unfinished at her death at the age of 41. He's expanding the 11-chapter fragment into eight 60-minute episodes, produced by "Masterpiece" in partnership with ITV, and distributed by BBC Studios. All the major stars from "Masterpiece's" megahit "Downton Abbey" are returning for the planned feature-film version, including Maggie Smith (Violet Crawley, Dowager Countess of Grantham) -- just confirmed by People on July 16; Michelle Dockery (Lady Mary Crawley); Laura Carmichael (Lady Edith Crawley); Joanne Froggatt (Anna Bates); Hugh Bonneville (Robert Crawley, Earl of Grantham); and Elizabeth McGovern (Cora Crawley, Countess of Grantham). Directing is Brian Percival, who directed the series' pilot; plot details are unknown. The writer is British Catholic Julian Fellowes, who's also writing a 10-part series for NBC called "The Gilded Age." Set in 1880s New York City, it follows the conflict as the city's old-money families have to deal with a sudden influx of social-climbing nouveau riche. To write The Gilded Age is the fulfilment of a personal dream. I have been fascinated by this period of American history for many years, and now NBC has given me the chance to bring it to a modern audience. I could not be more excited and thrilled. The truth is, America is a wonderful country with a rich and varied history, and nothing could give me more pleasure than to be the person to bring that compelling history to the screen. We'll have to wait and see how many of these productions will be suitable for the whole family, but at least we know they'll be intelligently written -- and these days, that's something.